Vicair Multi Functional To Aid Pressure Relief.Cushion. 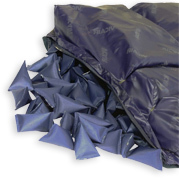 There is no risk of the cushion deflating so if a Soft Cell does get damaged , the single cell can be replaced rather than the entire cushion. 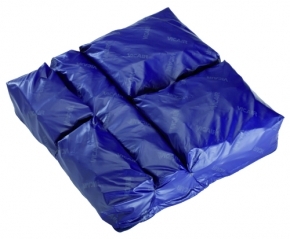 This ultra lightweight cushion is easy to lift and transfer from chair to chair making it ideal for active users. Comfair - Multi-stretch breathable top fabric allows air to circulate. Provides comfort and reduces the risk of moisture / heat build up. Incontinence - Multi-stretch water resistant and vapour permeable fabric with an easy to maintain wipedown surface.